Freddie Mercury, born in 1946, went on to become a globally renowned singer and songwriter, best-known as thelead vocalistand co-principal songwriter of the rock bandQueen. 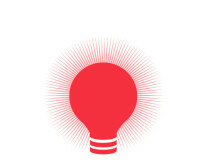 As a singer that once remarked “I am not going to be a star. 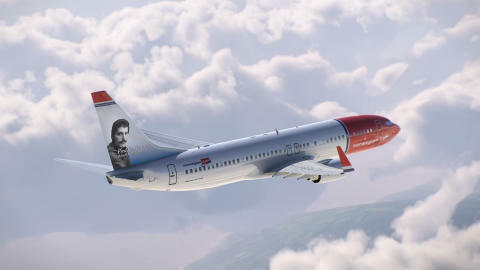 I am going to be a legend” Freddie Mercury perfectly captures the essence of Norwegian’s tailfin heroes, with his life and music inspiring generations of fans across the world. Along with being recognised as one of the greatest singers of all time, the public also voted Freddie Mercury into a BBC poll of the 100 Greatest Britons. 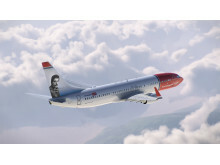 Norwegian is proud to announce that British author Jane Austen will become its latest ‘tail fin hero’. 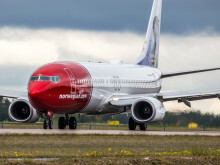 The renowned author’s portrait will grace the tail fin of a Norwegian Dreamliner aircraft, as 2017 marked the 200th anniversary of her death.